Tectonics is the study of the earth's structural features, especially the folding and faulting (cracking) of the Earth's crust. 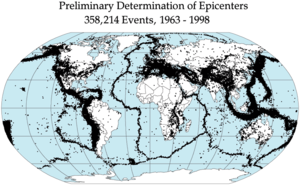 Tectonics (from Latin, meaning "building") is a field within geology. It includes structures in the lithosphere of the Earth and the forces and movements that have operated to create these structures. Tectonics is concerned with orogenies (mountain building) and major land features. 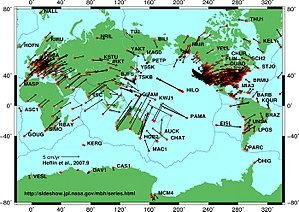 This includes the earthquake and volcanic regions which affect certain parts of the world. This is discussed further in plate tectonics. Tectonic studies are also important for understanding erosion patterns in geomorphology and as guides for the economic geologist searching for petroleum and metallic ores. This page was last changed on 6 February 2019, at 11:34.